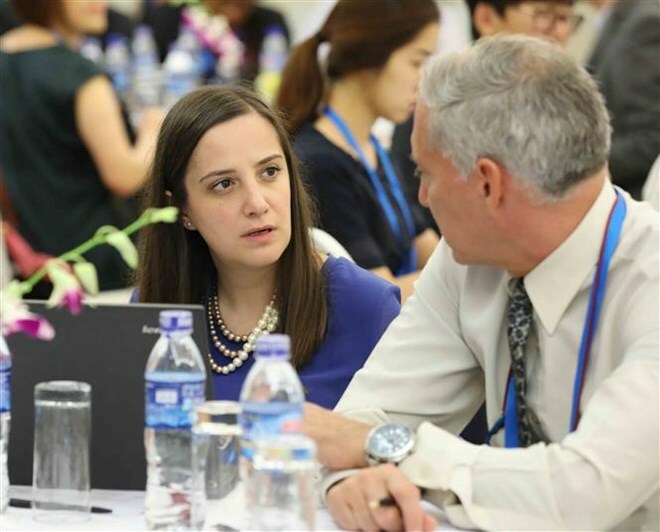 HCM City (VNA) – The development of the Free Trade Area of the Asia-Pacific (FTAAP) and cooperation in trade facilitation between the Pacific Alliance (PA) and APEC member economies were the main focus of a workshop in Ho Chi Minh City on August 26. The four-session workshop looked into the PA as a building block of the FTAAP; the PA and its ties within the Pacific region; and contributions of the PA to the APEC in terms of micro, small and medium-sized enterprises, trade facilitation and services. Speaking with Vietnam News Agency reporters, Pyzhikov Nikita, a delegate from Russia, said the FTAAP must be a standard and transparent agreement. “To ensure that the agreement will be transparent, we should work together in establishing a framework of this agreement,” he said, underlining the need to organise more similar events to clarify the role of each party in the realisation of the FTAAP. Tang Guoquiang, International Co-Chair of the Pacific Economic Cooperation Chair, said the FTAAP plays an important role in economic development, trade and investment facilitation in Asia-Pacific, which has been affirmed in many research studies and reports. Lauding Vietnam’s rapid economic growth rate, he said Vietnam is a good example in the Asia-Pacific region. Vietnam can bring into full play its role in building the FTAAP and the country can benefit from the area, he said.